We can help you get Lamplight all set up and your team trained up and ready to go. We offer five different packages, depending on how much help you need and the complexity of your system. smaller charities with few staff, straightforward requirements and no extra Lamplight modules. small to medium-sized charities who want to discuss set-up in more detail, and maybe add modules to their system. charities up to around 12 staff with some different services, and more complex reporting needs. They might a couple of modules, or have two projects. charities with a larger team, multiple sites and services, and complex data capture or reporting. You’ll get more of our time during the process. very large charities with complex services who need more opportunities to discuss detailed requirements, and the chance to train larger numbers of staff on-site on completion. Lantern is for those that want a bit more help. You complete the implementation workbook, which we’ll then review and discuss with you in a series of phone meetings. Once you’re happy, we’ll set your system up for you and provide an online guided tour of the system. You’ll also receive an advanced open training day place which you can use whenever you like. 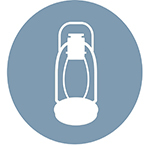 Lantern is typically best for smaller local charities with a few staff, relatively straightforward services and reporting requirements, and no extra Lamplight modules. A Torch set-up gives you the opportunity to meet your Lamplight Implementer and discuss your data and reporting needs in more detail. We will introduce you to the implementation workbook and agree a timescale for you to complete this with our assistance. When this is ready we will set up your system for you. It includes one place on the advanced open training day. It is the ideal option for the small to medium-sized charity which would like the chance to discuss their set-up in more detail, and maybe to add some Lamplight modules to their system. With the Spotlight package we’ll take a much more active role in the process. We guide you through the implementation workbook in a series of phone calls and an on-site visit to really get into the detail of what you do. Once we’re happy that we’ve understood and met all your requirements, we’ll set it all up in Lamplight and show you the results. You’ll then have some time to check things through before we come to deliver a customised training day for your team. You’ll receive a free three-hour support pack to help you after the go live date, and you’ll also get a 10% discount on any data migration. Spotlight is great for slightly larger charities – typically up to around 12 staff – delivering a few different services. You may have contract based funding with more complex reporting requirements. You may need 2 or 3 Lamplight modules, or have two projects. With a Chandelier package you’ll work with one of our senior Implementers, and we’ll spend two days on-site getting to know you and your organisation inside out, as well as having a number of virtual meetings in-between. Once your system has been set up we will arrange a tailored on-site training day, you’ll also receive 4 places on advanced open training days. In addition to the free support pack, you’ll get a 15% discount on data migration. 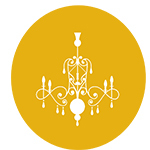 The Chandelier package is for you if you have a team of around 12 to 20 people, multiple sites and services, and complex data capture or reporting. You’ll set up a project team including a number of staff members, and will need more of our time to work through the process. One of our senior Implementers will work closely with you over a longer period to support you through the process of change. We’ll spend three days on-site with you, with lots of time allowed for work between visits. Once the system is up and running, we’ll provide a tailored on-site training day and six places on advanced open training days. In addition to two free support packs, you’ll get a 25% discount on data migration. The Lighthouse package is for very large charities. Alternatively, if you want to set up your own system, the Candle package is for you. You’ll receive a copy of our comprehensive implementation pack to guide you through the thinking you’ll need to do. Once you’ve set everything up, we will review your system and provide a short report with any recommendations we have. You’ll also receive a place at an advanced open training day to use when you choose, which will help you get up and running. The Candle package is ideal for small organisations – with typically one or two services – with very simple requirements. It is also recommended that the person setting up the Lamplight system has some previous experience of configuring databases.